How does a newly introduced plant become part of a garden scheme? How often have new plants moulded the designs in which they feature? What plants have been used to implement desired effects? The multiplicity of ways in which plants have contributed to garden design is a theme of this absorbing study. 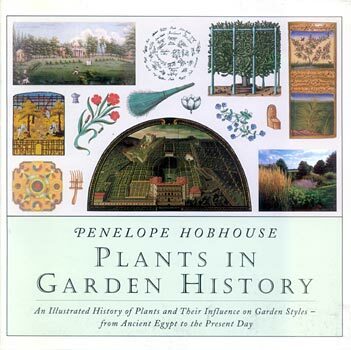 Penelope Hobhouse - plantswoman, gardener, designer and authority on historic gardens - is uniquely qualified to shed new light on this complex subject. In this widely researched and engrossing book, Penelope Hobhouse focuses on the plants themselves and the interest - even passion - they have aroused. She examines the perennial interaction between what plants are available and the ideas of people growing them. She demonstrates that plants, however inspiring, remain the raw material of the garden maker's talent - and explores the extent to which gardeners are creatures of their age. "The most exciting gardening book for ages...terribly erudite and bristling with ideas. A stimulating new angle on gardening." "One of the most wide-ranging and beautiful books about gardens of recent years." "The distinction of this book comes from Penelope Hobhouse's rare combination of a deep practical knowledge of gardens and plants coupled with the freshness of her responses to a very wide range of historical materials...it willa bsorb and delight anyone with the slightest interest in the forms that gardens in the West of taken." "The volume is so beautifully illustrated that it will appeal to the casual reader, yet is also a book that anyone interested in plants will want to read from beginning to end."